Kirsi Louhelainen is passionate about emerging technology and using it to make the world a better place. Technology needs to be developed intentionally, with clear understanding of the different paths we may take and the direction we want to go towards. She leads AI development at Barona. At Barona, and our mothership Bravedo Group, we have been embracing the digital age for quite some time. This includes the use of rad new tech like artificial intelligence. Of course, like most other companies, we are not really building sentient robots and omnipotent machine overlords. 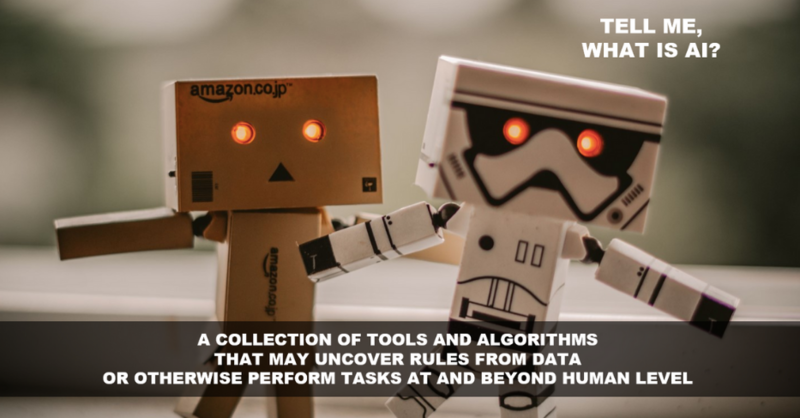 We do, however, experiment with different ways of using machine learning to improve our current businesses, to make sense of the data we generate, and to develop new business and new ways of working. Along the way, we try many things, some of which make it to a final product and some of which at least improve our own understanding. But what do we actually do? And how much of it actually sees the light of day? In this post, we look into how we improve our current operations using data and machine learning. Barona has in the recent years been most known for using AI in recruitment. Our flagship product, Jelpp, has used algorithms for finding suitable candidates and matching candidates and jobs for over six years now. Our matching algorithm has been developed as a companion for the recruiter, to aid them in addition to proper work flow, good search tools and easy ways to publish resumes. It is a prime example of a supportive AI, a tool that does not make decisions but that aids a person to do their job better. There are more ways than pure matching to use artificial intelligence, though. We’ve experimented with features like finding similar candidates and using machine learning to read and import CV:s into our system to simplify the application process. There’s also a new service in town: a complement to our recruiter’s tools, the career service site. It is something still in the early stages, but something we greatly believe in. The matching algorithm serving job applicant will likely evolve differently from Jelpp’s: it will take into account personal preferences and interests, and even clicked through job ads. Our vision is to integrate to educational programs, industry and educational statistics, and other services to give person the best possible support - a virtual career assistant - to help navigate the job landscape that is moving faster and faster. In the changing job landscape, some jobs will disappear, others appear, and people will need support in finding a job that matches their wishes and abilities and has good future prospects. For all the hype about general AI and new, unimagined solutions, it is at times a sobering realization that one of the most valuable benefits of AI is improving the company’s core procedures and supporting functions. Machine learning helps us to improve our foundation by making the business run smarter. All businesses produce data, and using this data to improve processes, track success, and make things more efficiently is critical to success. Artificial intelligence at logistics sure sounds like autonomous robots roaming in fully automated warehouses. However, what Barona Logistics is working on right now is improving their core operations in much less flashy frontiers. At Barona Logistics, this means using machine learning to check and correct employee’s hour markings instead of a manager using better part of their each work day to do that manually. It means optimizing the work done at a site to avoid extra hassle and errors, and verifying we are doing the right work. It means using algoritms to check our data to make sure all extra hours and weekend work is paid correctly and according to collective agreements. In short, it means efficiency, removing error, and enabling people to do their jobs. The best part is that once Logistics is done with these improvements, they will enable other Barona’s businesses to improve theirs. Another great example of a new way to use our data and machine learning is Forenom’s dynamic pricing algorithm. The short term rental business needs the apartments to be occupied at a good rate, and to be able to react to things like big events. The algoritm takes into account both current demand, historical demand fluctuations and things like upcoming events. The goal is to have as little vacancies as possible to run an efficient business and provide temporary housing to all who need it. In the future, more data and algorithms can be used to determine things like where to add new capacity, where to reduce it, etc. The capability to evaluate and analyze data also means that we can rethink things like psychological evaluation and success at work. Cresco has been pioneering psychological evaluation, and now they want to provide these services in even easier package. Is there a way to create simpler or shorter tests so we’d get similar insight with less burdensome evaluation process? How do people actually perform in a job, and how can we use that information to find the best match? Imagine the current customer support process. What if each customer support person had a digital aide helping them to get up to speed in the first weeks of work? What if they had access to all documents and contracts the moment customer mentions them in the phone or on chat? At Barona Customer Services these things are being imagined right now. Human interaction is still needed, and the key is to keep people at the center. Smart use of algorithms can enable people to do the right things, and free supervisors to spend time supporting people instead of monitoring data. Our businesses across the field, from logistics services to restaurant operations, are exploring and using algorithms both smart and stupid to improve the way they work, right now. Some of the ideas above are still being developed, but we’ll see more and more of those going into production, helping us to focus on our business, and ultimately, our customers. In the next part, we’ll look into new businesses and opportunities that AI is helping us to create.